This honor, given for the first time in 1997, recognizes faculty and staff in various universities and colleges throughout the region who go “beyond the call of duty” in devoting their time, efforts, talent, and energies on behalf of the students and in support of the other faculty and staff of their institution. The following recipients of the “Excellence in Theatre Education Award” are individuals recognized by the Board of Governors of the Kennedy Center American College Theater Festival, Region VIII for their unique commitment to their students, their colleagues, their institution, and their profession. We wish to honor their vision, knowledge, high intention, and sincere effort in fostering, supporting and developing a greater respect and appreciation for theatre, theatre education, and all who participate in it. 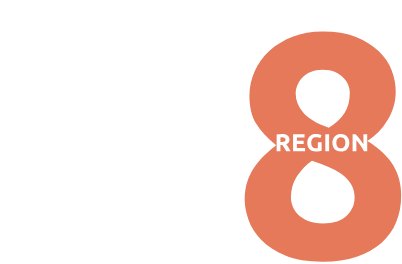 Faculty can be nominated through the KCACTF Region VIII webpage by other faculty, students, staff, or administrators at their own or other institutions within the region. Nominations cannot be anonymous but can be signed by multiple people. Self nominations will not be accepted for this award. Nominations are due no later than December 15th. Will be announced in December. Contribution to nurturing talent in all areas of the theatre by constructive feedback and fostering risk-taking, collegial exploration of new ideas and celebration of artistic skills and insight.